On a fundamental level, the subject matter of Family Formation is very similar to other programs which strive to pass on the Catholic faith. We’re joyously and fully in communion with the Roman Catholic Church, and it’s our highest goal to help people develop a deeper intimacy with Jesus Christ. The methods for reaching those goals, however, are completely unique. 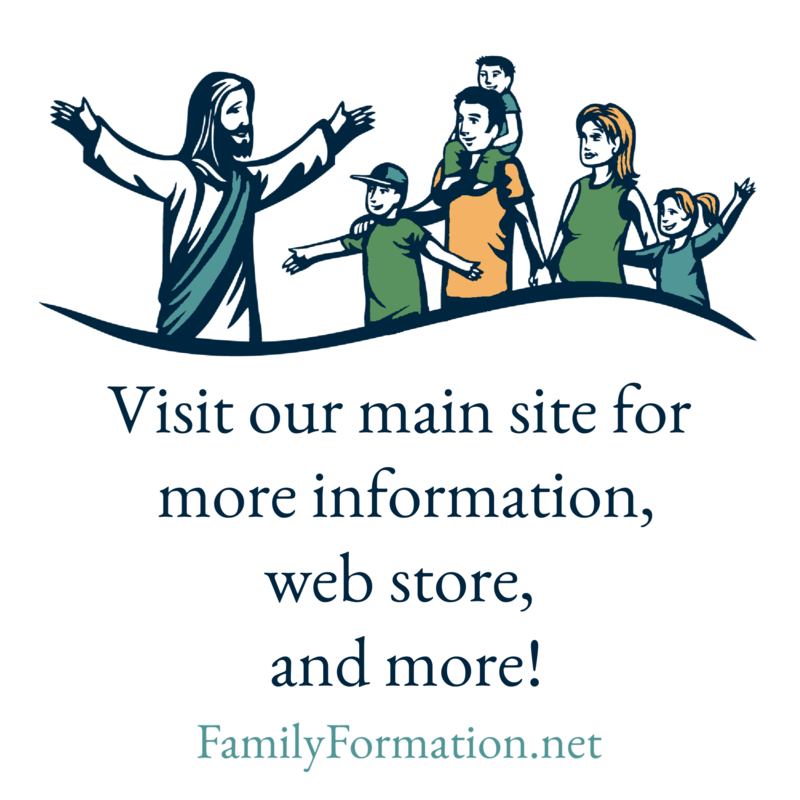 Family Formation is a family catechesis program which promotes parents as the primary educators of their children in the Catholic faith. Since its beginning, Family Formation has served thousands of families all over the United States and Canada. Through games, quizzes, stories, and music, solid Catholic teaching is transmitted, and the Faith is brought to life within the family. We realize our ineffectiveness to catechize children if their parents are not involved in the process. By evangelizing parents, helping them realize what the Church is asking of them, and giving them support and encouragement in their mission, we are answering the Church’s call. In a nutshell, this is what Family Formation accomplishes. Adult catechesis is a major focus which teaches and encourages parents and equips them with the Catholic “know-how” to share the Good News and the beauty of the Catholic faith with their children. You can find more information on our web site or by contacting us. Family faith formation helped me to heal after losing my son! !